Muuto introduces a small Under the Bell pendant lamp. For those of us who have known Under The Bell for a few years now, it’s really like: it’s about time! This lamp has been one of my favourite lamps from Muuto’s collection but it was always so difficult to be able to place, it’s a BIG lamp, but fortunately they decided to scale it down. thanks Muuto, big is not always better. Thanks for reading. If you have any questions you know you can just contact us, we will be more than happy to help out. Of course all versions of the lamp are available at your favourite designshop. Characterised by its cupola-like lampshade and sound-absorbing felt material made using recycled PET plastic fibres, the Under The Bell Pendant Lamp is now available in a smaller version with a diameter of 55 cm, making it perfect for a residential space. With its raw and distinct surface texture, the lampshade adds a modern sentiment to its surroundings while absorbing the sound underneath with its distinct form. 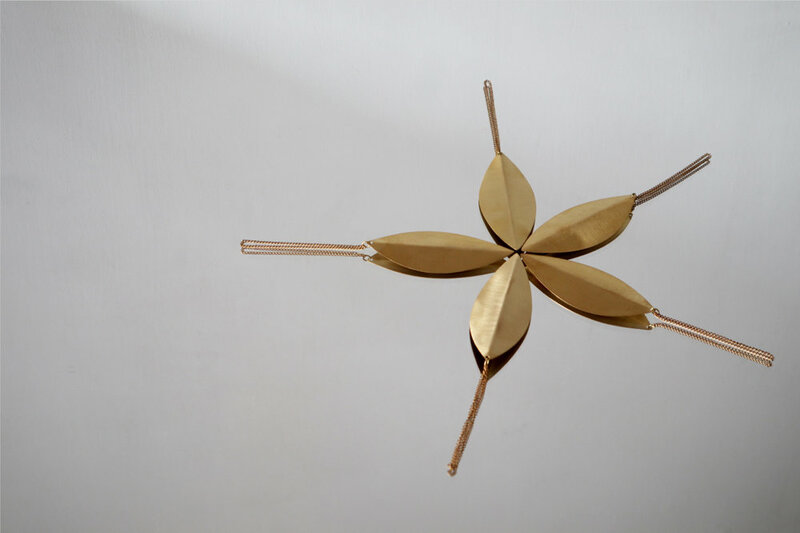 This smaller version of the popular lamp allows for use in any home or contract space for a contemporary and functional pendant lamp that can be hung on its own or in clusters as well as in more stringent formations. 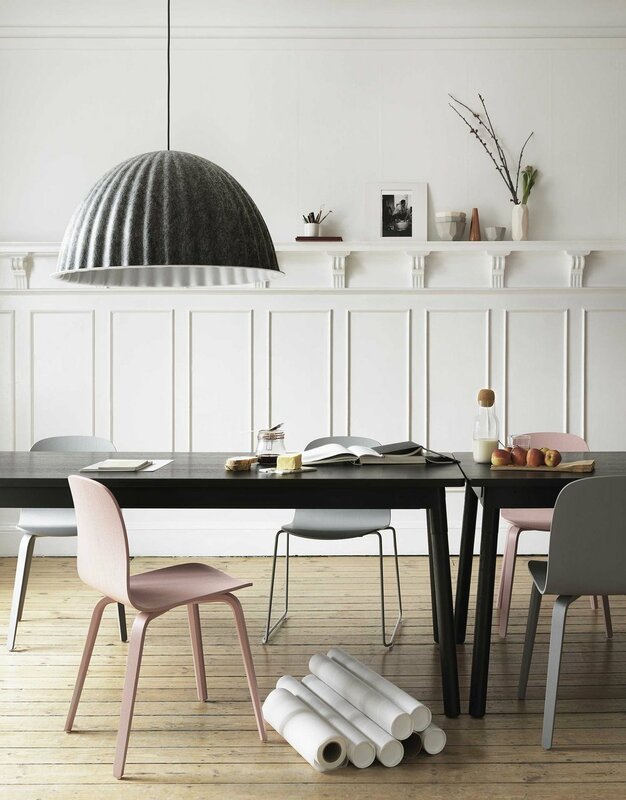 The Under The Bell Pendant Lamp Ø55 comes in three colours: Black, Grey and (the new) White Melange. Under the bell Ø 82, available in black & grey and (soon) in white melange. Under The Bell is a pendant lamp that is multi-functional as the design not only provides an ambient light but also enhances the acoustics of the room. Under The Bell is a prime example of modern design with hints to Scandinavian values. After multiple prototype testing, the final shape of Under The Bell was reached. 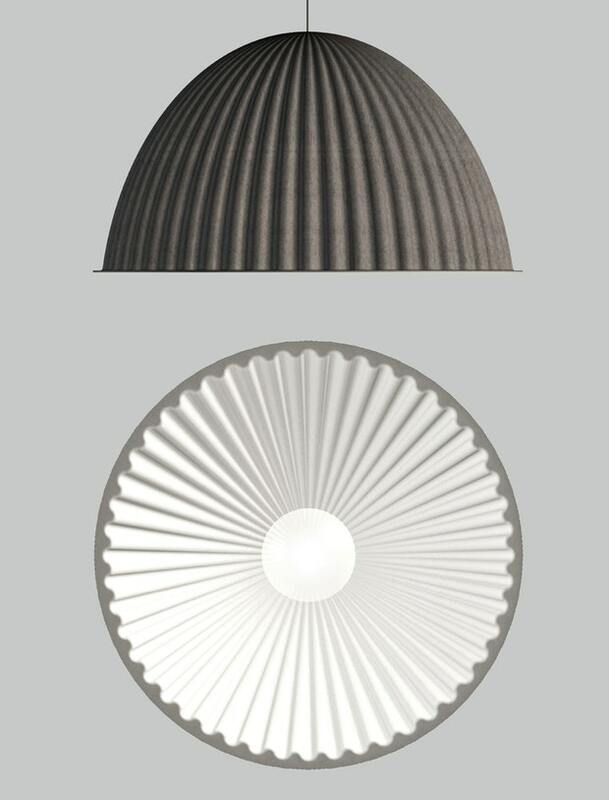 Boris Berlin says: "Under the Bell was designed to be much more than a standard lampshade, housing a light source and reflecting it down. The design aim was to develop a shade that hangs over the centre of the table to create a spatial inclusion within a room—both physically and psychologically. It's akin to a dome encasing a building. "